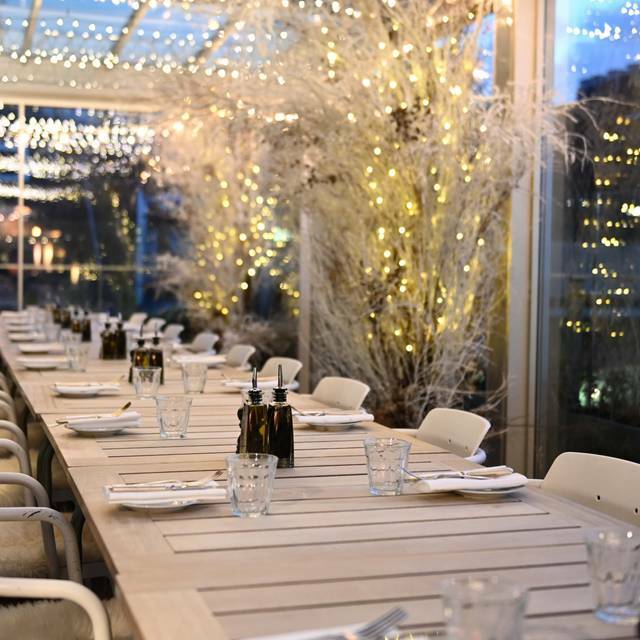 Boundary Rooftop can offer private dining for 25-35 seated guests for lunch or dinner in their Glass Orangery. Standing parties for 30-100 are also available, subject to terms and conditions. 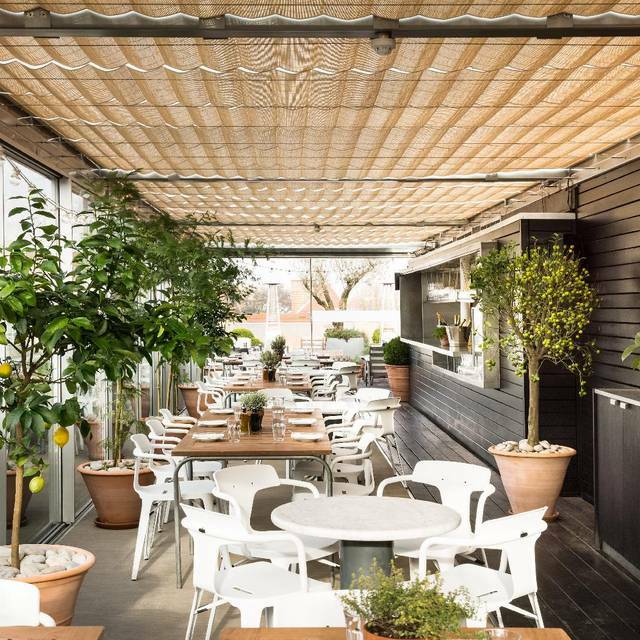 Rooftop Bar & Grill at Boundary London offers a seafood, skewers and sharing menu. 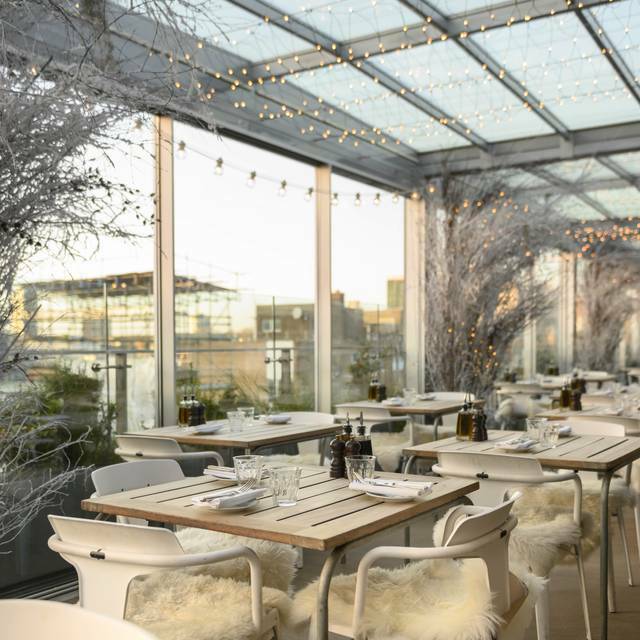 Our Glass Orangery protects against the elements but retains the fantastic views, allowing you to drink and eat all year-round. The Robata grill dominates the open kitchen serving a menu of sharing dishes and freshly grilled meat, fish and vegetables skewers reminiscent of a Mediterranean Summer BBQ. I was late but the waitress did a great job of keeping my company entertained until I arrived and provided great service once I had arrived! At the time of booking the website and online menu displayed the option of Fondue. The only reason we came here was to enjoy a fondue with some Champagne in a nice setting. Upon being seated, myself and my partner were given two different menus, one with fondue and one without. When asking a waitress, she didn't apologise, instead said "Yeah, we're looking at not doing that anymore." Service was poor, communication was poor and, on reflection, the menu is vastly over priced for what it is. The views and setting were nice, though. I really liked the place and atmosphere. Very cozy and romantic. The food is okay, but for quite high prices, is not very delicious. The tea was really nice though. Amazing place! Perfect for a summer or spring day! Service was amazing man who wears glasses was very kind and helpful! I can’t comment on the food as we didn’t eat but it smelt amazing!! Great day thank you! Very nice venue and we dined outside on a warmly heated terrace, despite heavy rain meaning we needed to move around a bit! Fondue to share for two was tasty, although for the price, should probably have included potatoes as well as bread and cornichons to dip. Sea bass is priced okay - going rate. Decent, but very quiet and my lamb was quite fatty. Might go back, no sure. 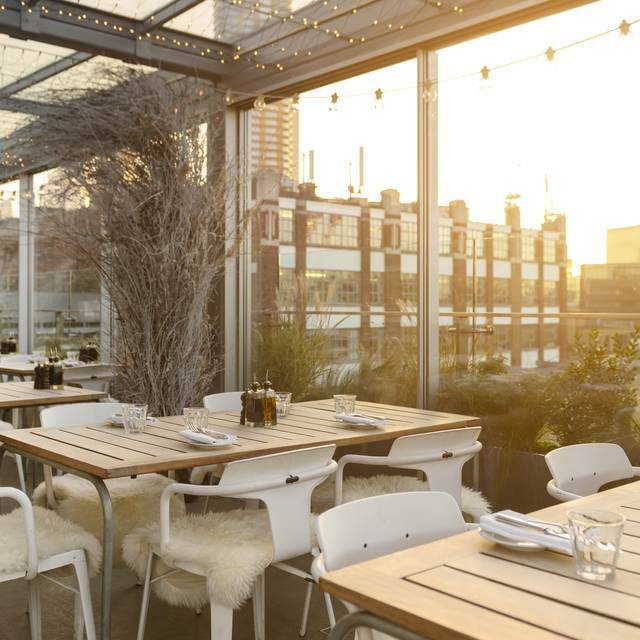 Lovely rooftop restaurant, great place for cosy cocktails or a more formal dinner. Its a lovely place and staff was SUPER helpful. We were in a big group (8 people) so stayed inside for dinner. 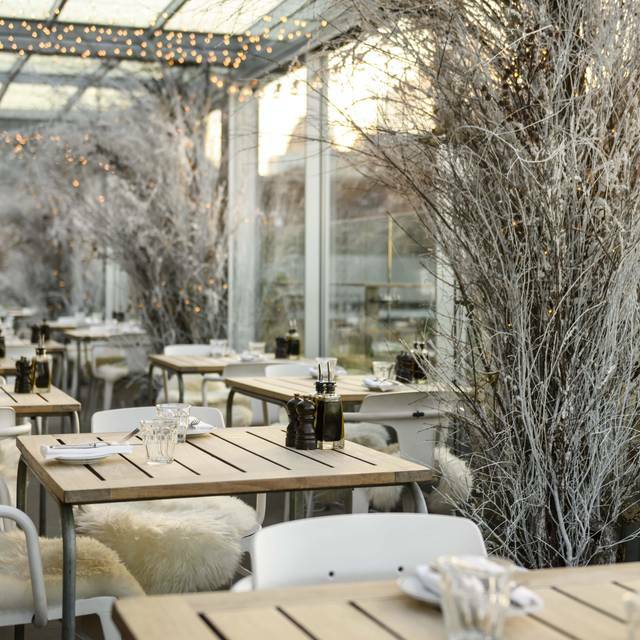 But its a PERFECT spot for date: ask for outside sitting as they have cozy seatings! Food is over priced for what it's worth. The otcupus was nice, the duck and seabass was poor. The food tasted good, however, very overpriced for the portion you get. A day after the bill we received a present from the restaurant saying we didn’t attent the booking, puting us on the black list of no-shows. The day after they appologized. I used to go to Boundary for years when living in London. We decided to go for lunch today and it is was a series of disappointments. Tacky atmosphere, very long wait and very average to bad food. The manager did apologize and made a commercial gesture but I would never go back. I have spent a great time in this beautiful place. Fantastic attention, delicious food and quiet place. I would recommend this place to anyone who wants to enjoy a good atmosphere, nice views and comfortable sofas. Thank you. The venue at night is magical. Loved the lay out, loved the food, and the service was excellent. We had a beautiful evening and would thoroughly recommend the bar and restaurant for any special occasion. Went here for my girlfriend’s birthday and had a pretty bleak overall experience. Don’t get me wrong, it’s a nice place, but the food portions are a joke and the service is awful. I brought a birthday cake for the celebration, and not only did the waitress come over and ruin the surprise by saying “regarding the birthday cake....” while my girlfriend was sat at the table, I later found out that she had come over to tell me if I wanted to have the cake in the restaurant, they would have to charge me £20, because it was company policy. Even ignoring all that, the service was poor, the waitresses and manager just stood in a corner laughing and joking with each other, and when we complained that one of the meals was simply not a ‘main’ and was over cooked, they refused to remove it from the bill because it was just the style. I’ll give a 2 out of 5 because it is a nice venue, but wouldn’t go again. Nice place, the seafood platter made both myself and my partner ill though. 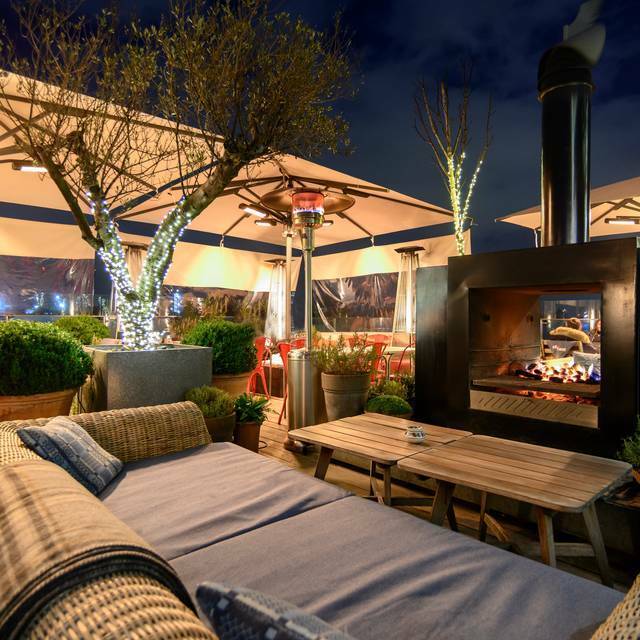 Nice cocktails and cosy terrace. The rooftop is brilliant for a gorgeous day out. However the food was below average and its quite expensive for what it is. Food was disappointing - sea bass was salty and over cooked and not a generous/succulent portion. Staff were inattentive even though it wasn’t busy. Outdoor drinking section of rooftop is much prettier than the dining glass covered part. I’d come back but only for drinks in the outdoor part which looks beautiful. Nice place to have a drink on a sunny day/evening. Had the deluxe fruits de mer platter for two. Overall good value at £20 a head. One of the shrimps was wildly overcooked and there was sand in a lot of the mussels and clams so could have used a bit more attention to detail. The house Pimm's was good, the passionfruit was a nice touch. Service was a little slow but its a great place to eat rain or shine! Came here a year ago and despite the hefty price for food that is pleasant but not particularly memorable, I didn’t mind too much as the view is lovely and the service was okay. However, I went this week on a Wednesday... had dinner, bottle of wine followed by a cocktail (which would have been further drinks, had the service been better) and my friend and I literally felt like asking for a drink was a burden. The service was terrible... food was average and very pricey. In the end we decided to head off to another spot for further cocktails. Such a shame as such a great spot. Doubtful that I’ll go back now. In the past this was a brilliant location and a hidden gem. It has changed management and is now awful. Manager was rude and everything that was good about it has now made it unpleasant. It used to be a restaurant with attached bar, it is now clear they are more interested in bar customers than they are their restaurant customers. Found a hair in my food, no replacement, no apologies and nothing offered or taken off the bill. Took 20min to get our drinks, many tables were complaining around us. When finally getting the attention of the waiter he left mid order to a table who was calling him saying I’ll come back.... it was a mess, clearly short staffed and staff looked scruffy and overworked. 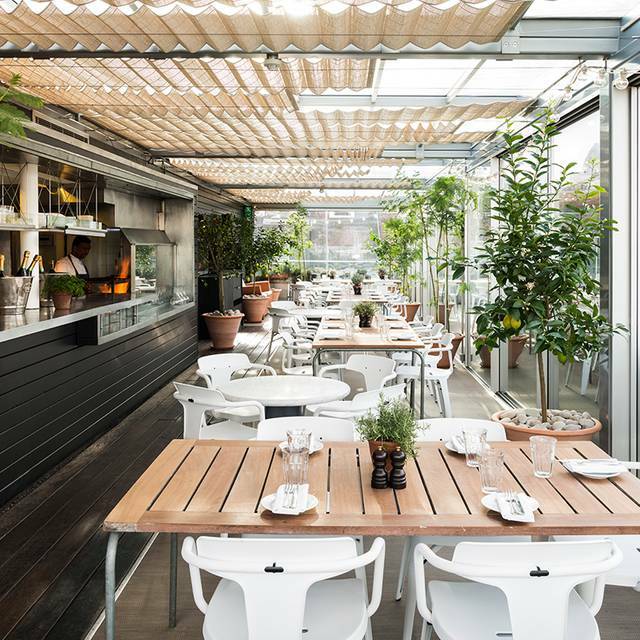 We booked boundary rooftop for an evening meal during our trip to London. We unfortunately had problems with our Uber which made us late however we rang beforehand apologising and were assured it wasn’t a problem. When we arrived the gentleman who I presume was the manger was very rude towards us, rushing us in and told us to order quickly before the kitchen closed. The service was very much like a fast food type and almost like a conveyor belt of dishing our meals and taking each course away quickly without asking how the food was. As soon as we finished our food we were presented with the bill and not offered any further drinks. I was looking forward to it as the restaurant had come highly recommended but I don’t think I would return. The rooftop was not busy when we arrived with many empty tables and yet we were refused our request to sit there. The only good thing was the food which was delicious and nicely presented. Perhaps there could have been a warmer welcome on arrival as this immediately formed my opinion of the overall service which unfortunately was very average. Great venue. Like the bbq concept. Always delivers. Bit of poor communication with the girl at the door around availability at the bar for a drink pre dinner but otherwise all very good. Food was mediocre. Rooftop was pleasant, but too busy and crowded. We arrived at the terrace to find that the area we were supposed to be dining in had been taken over for a party. When I showed the waitress the reservation through open table she shrugged her shoulders and said it would have been better to book direct. No apology was offered. I can understand that commercially it might have made sense to take the larger booking, but they didn’t even bother to contact me to explain the reservation had been cancelled. Very poor approach to customers that caused me embarrassment and I certainly won’t risk a reoccurrence. 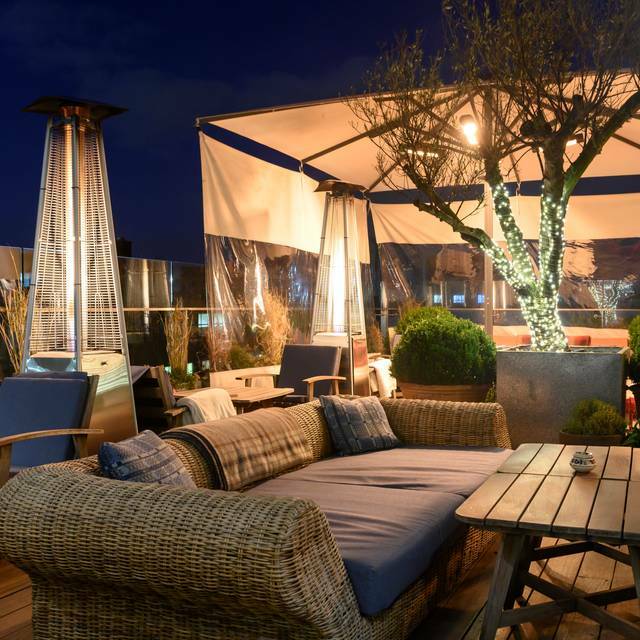 Boundary Rooftop at The Boundary Project is a great rooftop option for drinks or a meal. They have an informal BBQ menu that is quite pricy but tasty. The service was a little on the slow side, and don't bother asking for a jug of tap water - it's just not an option regardless of whatever else you order. They will only ration you with mini glasses. Otherwise enjoyed the experience. 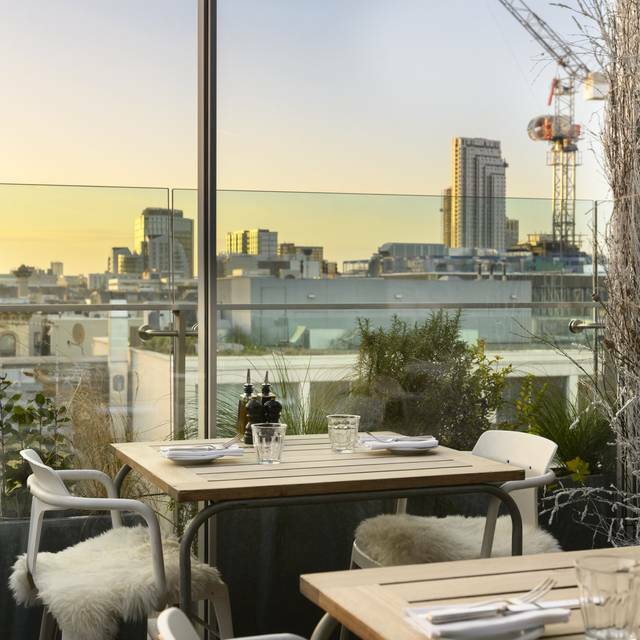 Booked for the location and view, then read previous reviews of The Boundary and became very apprehensive that poor service and bad food would completely ruin this surprise birthday dinner - pleased to say this wasn't the case at all. We were very well looked after, served at nicely timed intervals and the food was lovely. The food was very overpriced and overrated, the wine was warm, and service, was not great! The views were beautiful and the venue is stunning, but have to say I wouldn’t go back!